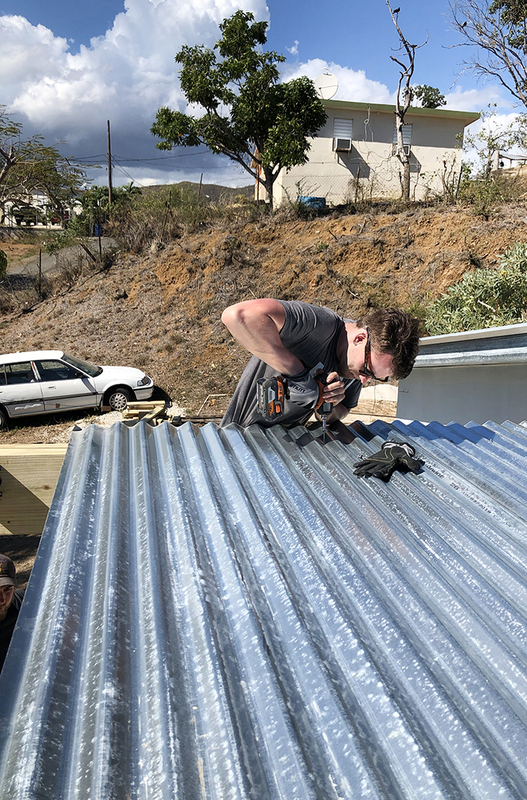 Twenty-two Dunwoody architecture students hopped on a plane bound for the southeastern coast of Puerto Rico during spring break. 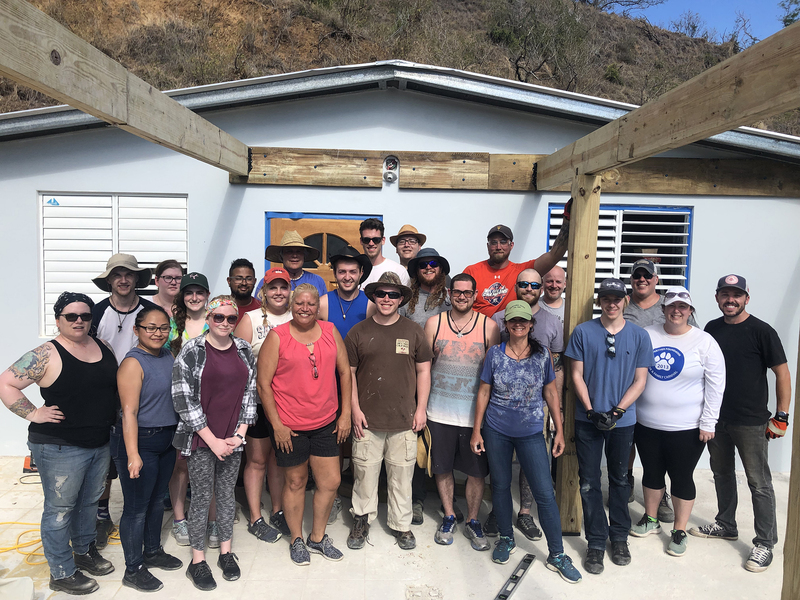 The students soaked up some sunshine and culture, but the main reason for the trip was to help residents of the country ravaged by Hurricane Maria in 2017. Initially, the scope of the trip was two-fold. It included a site visit to a piece of land in a mountainous region of the island, taking photos and making sketches for the third year studio class to work on once they returned to Dunwoody. Local residents, driven by the need to be less reliant on ships bringing weekly supplies, want to buy and redevelop the property into a community center and farmer’s market. Dunwoody students will create designs for the project and produce marketing materials, which will help secure loans for residents to buy the land. 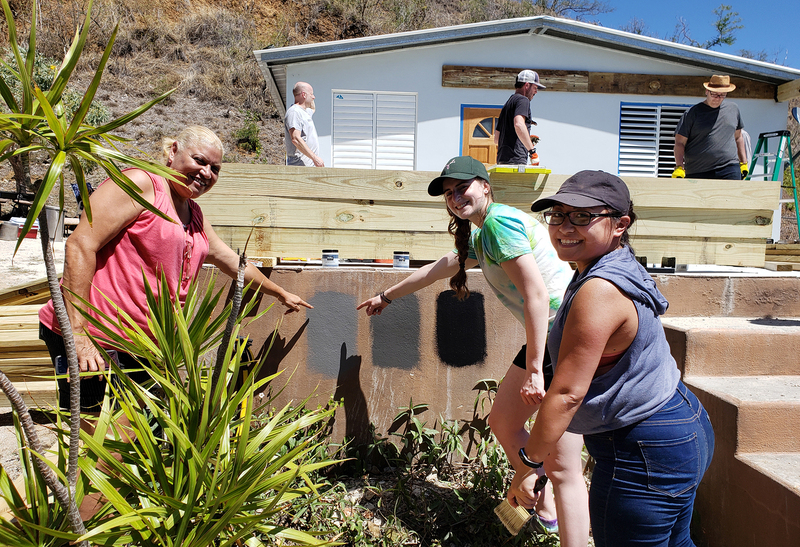 The second part included painting the home of a resident whose dwelling was located near where Hurricane Maria made landfall in 2017. That expanded to include designing and building a pergola for the same resident. Dunwoody’s Architecture program has a relationship with Ponce Neighborhood Housing Services (NHS), an advocacy group in the southern part of the island. 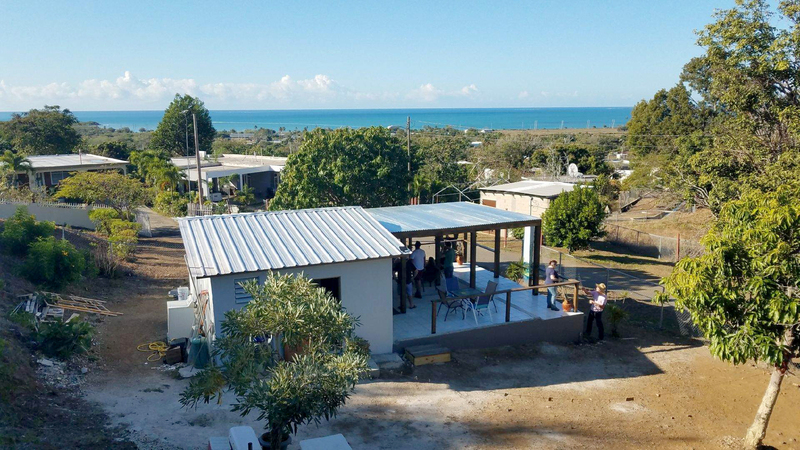 Puerto Rican native Laura Cayere-King, an adjunct instructor in the Architecture program, and program manager, John Dwyer visited Puerto Rico in 2017, following the hurricane to meet with NHS and locate a neighborhood they could work with. That visit guided the efforts of last year’s studio class, designing hurricane-proof homes for residents. 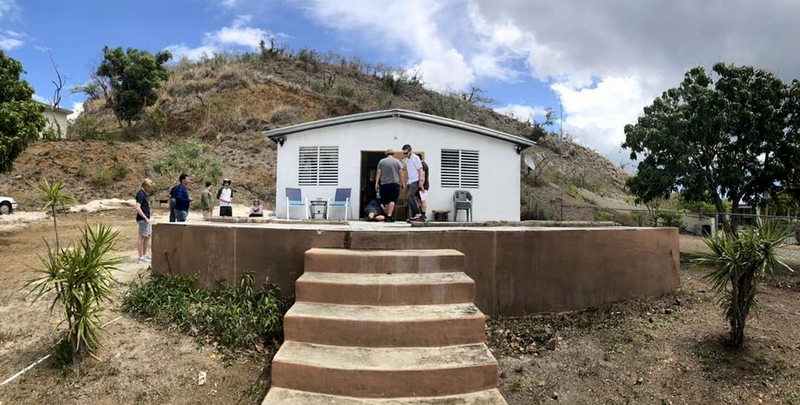 NHS directed this year’s group to the home of Maribel Martinez Gonzalez who had only received enough funding to rebuild her home on half of the original foundation. 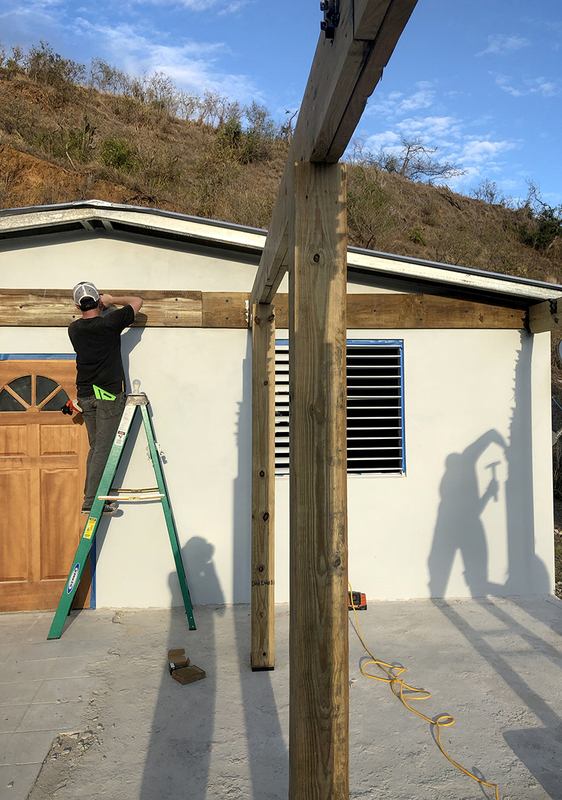 Cayere-King organized the spring break service trip to paint Martinez Gonzalez’s home because recovery aid did not pay for painting costs. She wanted to do something that would be impactful, but manageable. “Painting is something that we can do easily without a lot of knowledge from all of the students,” Cayere-King said. Students (AIAS) Freedom By Design (FBD) team, took the idea and ran with it. Nelson assembled a team to transform the skeletal remains of her old home. “The students really made it into a life of its own,” Cayere-King said. Kolang Vang, an architecture student, said Martinez Gonzalez had a lovely, direct view of the ocean from her home, but the sun’s scorching afternoon rays would shine right through her front door. The group spent one day preparing and three days building the new space. Finding the right materials and logistics emerged as the biggest challenges. 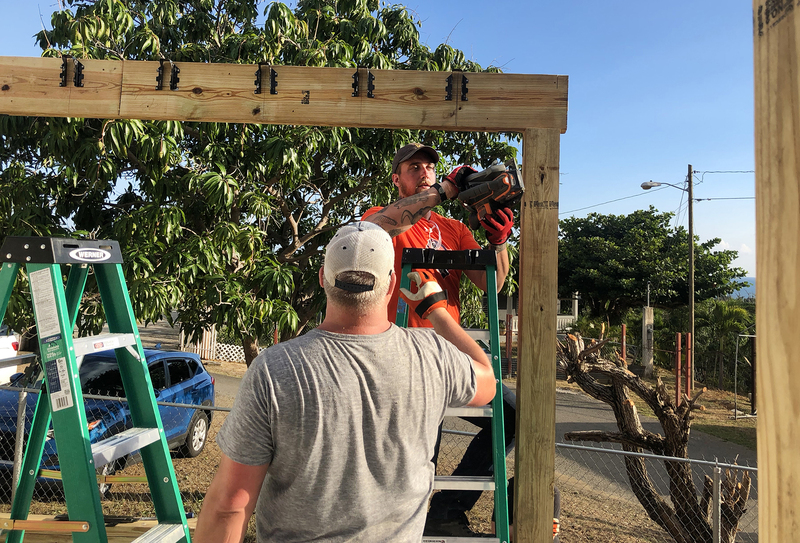 The group cleared the area, began construction on the pergola, putting beams in place, and topping it with corrugated metal panels. They also painted the house. On the evening they finished the project, they adorned the pergola with a string of lights and outdoor furniture and presented it to Martinez Gonzalez who broke down in tears. 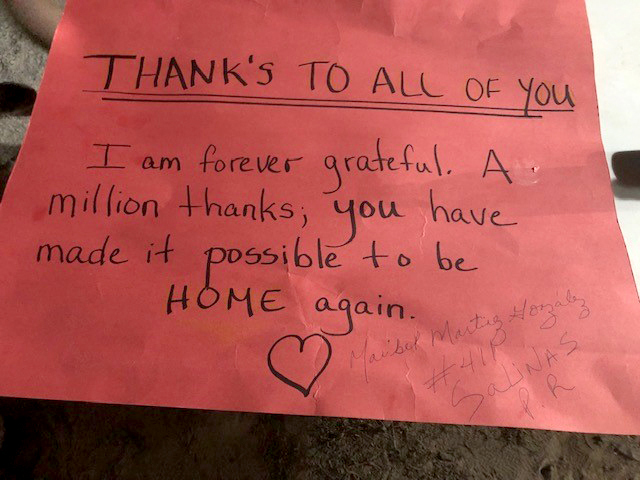 “Maribel didn’t speak much English, so her main forms of communication were hugs, tears of joy, and making us delicious, authentic food,” Hall said. Nelson said progress is happening on the island, but not at the rate we are accustomed to on the mainland. Two years after the hurricane “there are still many buildings that are laying in ruin, and still many with tarps for roofs,” he said. Bridget Reynolds, Dean of Construction Sciences & Building Technology Programs at Dunwoody, hopes students were able to gain a greater understanding of global humanity. Now the group affiliated with Freedom By Design has a greater impact and broader reach. “We have founded TEN Architecture; an architectural design group intended to identify widespread problems, develop distributable solutions, fundraise, and implement,” Tuggle said.